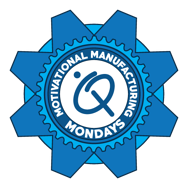 Motivational Manufacturing Monday: What is the Key To Winning Your Fights? This past Saturday was a huge sports day, with many different competitions taking place in a 12 hour period. There was basketball, hockey, horse racing, baseball, golf and boxing - all within the same 12 hours. For me it was a fun day and I watched more TV than I do on any other day (and maybe a beer or two). Even if you are not a sports fan, you probably heard about the “fight of the century” between Manny Pacquiao and Floyd Mayweather. While I know there are many people commenting on the event, I am going to take one angle, which is Pacquiao’s thoughts at the post-fight interview. If you were watching, objectively you could see that Mayweather easily won the fight, landing a solid number of punches and keeping Pacquiao from doing much damage. I personally was rooting for Pacquiao, but as the fight went on, you could see that he was having trouble implementing what he wanted. Then, during the post-fight interview in the ring, Pacquiao said he felt he had won the fight and did what he wanted during the match. He was oblivious to the truth in his performance, and while he is still a great fighter, he did not win this fight. Pacquiao's post-fight interview made me think about how people perceive output as a professional or company. Do you think that you are doing great things and winning all the time in your head, but it is not true on paper? Do you take the time to look at projects, sales and even daily tasks objectively? When speaking with prospects about their ERP projects, I found it is the perfect time to reflect on what they are doing today and make changes to more than just software. 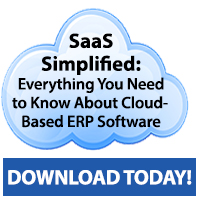 IQMS strives to provide more than an ERP solution. We also aim to benefit companies by easing processes and help them realize more of their potential. Our onsite Professional Services Group (PSG) is more than just a facilitator in software. Our talented implementation consultants help customers with business routines and can objectively show a new way to approach a process. Even when we are in the sales process, and prospects ask for certain functionality, we ask why they do that. Many times I hear, "Because we have always done it that way," so we try to show that there are options and that there might be a better way. If you are making an investment in something as significant as a business-wide software solution, you should be searching not only for what the new software/hardware can accomplish, but how can you improve your processes and maximize your ROI in the long run. I think, like many others, that I wanted to see a better fight and I was shocked that Pacquiao felt he had won in the end. While I don’t know how he prepared for the fight, it seems like he needs to take a step back and evaluate how he can win the next battle. Doe this ring true for you? Are you learning from your losses as well as keeping an open mind when you do win? Do you take the time to make adjustments? Do you take constructive criticism well (I know it is hard for me)? How often do you evaluate your company and yourself? I would love to hear from you on what works best and how often you try to deploy minor and major changes.